Welcome to the new SEO Studio. 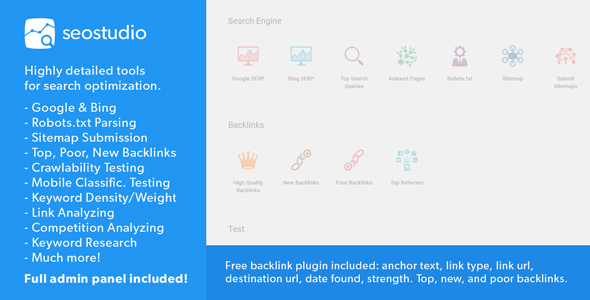 I’m happy to introduce my latest, next-generation tool set for search engine optimization. With tools more detailed than ever before, you can track progress, effectively target keywords, and aim for the top of search results. 0 Response to "CodeCanyon - SEO Studio - Professional Tools for SEO"